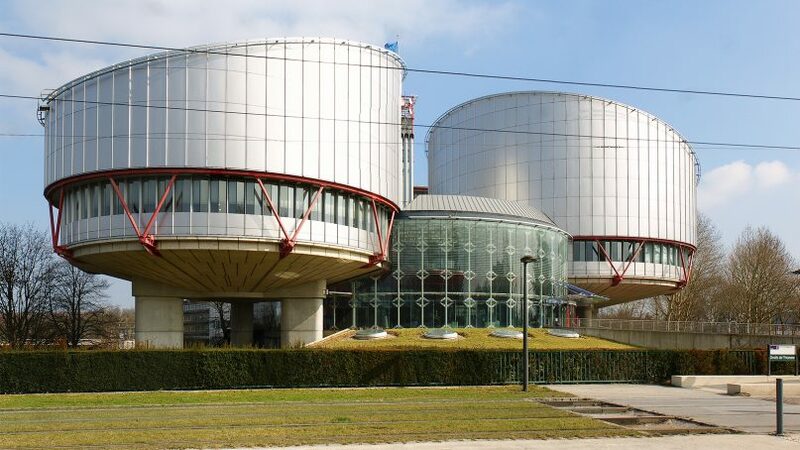 (RNS) — Two weeks ago the European Court of Human Rights ruled that the right to free speech does not include criticizing the Prophet Muhammad. The decision is a troubling one for academics and researchers in general, and in particular for Islamic scholars, whose job it is to think, speak and write seriously about the life of the Muslim Prophet. It’s long been part of Muhammad’s biography that he married his wife Aisha when she was 6 years old (or 7, in other reports) and, according to the most trusted Muslim accounts, consummated the marriage when she was 9 and he was about 53. Growing up a Coptic Christian in Egypt, I was always taught to take care not to insult Muhammad, to respect my Muslim neighbors and what they consider most sacred. Today I am a professor of Islamic studies at the Southern Baptist Theological Seminary and I teach nine different courses on Islam every year. In all of them, I exhort my students to completely avoid shaming, insulting or undermining Muhammad. I specifically caution them about the story of his marriage to Aisha. In short, I believe that we should be sensitive to the feelings of believers in every religion. Yet I am convinced that last month’s ruling hurts Islam more than it benefits it. Silencing thinkers is always a huge mistake. Scholars study texts and evaluate them. To do so we require the freedom to question their validity, their reliability and their precepts. The court’s decision suffocates scholarly inquiry. The ruling also comes in a time, during the age of ISIS and Boko Haram, when many academics are already discouraged from critically assessing Islamic texts, not only because of the threat of retribution but also to avoid further damage to Islam’s public profile. The last thing Islam needs at this time, however, is uncritical scholars. The Austrian court’s rulings only make the matter worse. But Muslims — scholars and others — should also be very uncomfortable with the Austrian court’s decision. It would be different if other religions were afforded the same courtesy. But nowhere in the world, least of all in secularizing Europe, would a speaker be convicted for questioning Moses’ behavior, assessing Buddha’s deeds, critiquing Jesus and his life and teaching. Do Muslims want to be so singled out in academia and public life? Doing so may actually fuel more suspicions of Islam. Placing a halo on Islam, claiming it is untouchable, will only suggest that Islam is an implausible faith. In the 21st century, everything is considered ripe for questioning and criticism; to put your cause off limits is to rob it of legitimacy. Rather than ban speech critical of Muhammad, Muslims should meet arguments with arguments and silence claims with counterclaims. Advocating for free speech and critical thinking, not fighting against them, is what gives Muslims the greatest chance of defending Islam. Without criticism, our scholarship grows flabby. I’ve seen educated Muslims make diligent attempts to reinterpret the story of Aisha, sometimes by arguing that she was actually 18, or that this story never happened. I have seen Muslim clerics defend Muhammad by claiming that, because Arabs reach puberty faster, Aisha was actually a grown young lady at that age. Perhaps the decision of the ECHR court served to preserve religious peace for a while, but this won’t last. The sacred Muslim texts are ever more widely available and are being translated into English en masse. More arguments will come. Silencing them will only harm Muhammad’s image in the long run. Rather than attacking the (so-called) prophet on issues such as Aisha, the value, if any, of everything he ever said should be questioned. Only people who are brainwashed think he is any kind of prophet at all. Admittedly, there are lots of those. But, here in a free-thinking USA (so far) any possible “authority” for Islamic scripture dreamed up by one guy is just a “No Sale” with the vast majority of people. May it ever be so. You don’t have to be particularly knowledgeable about issues like free speech to understand how dangerous this ruling is. Where will it stop? Illegal to criticize Jesus? And suppose Diogenes99, the god of the planet Veruda, inspires me to start a religion…I could advocate all sorts of things that would be extraordinarily troublesome a propos this ruling. They criminalize defamation instead of making it a civil tort (UK excepted). They generally do not respect free exercise of religion and many still have government established religions. These are the same people who decry anti blasphemy laws in other counties and apparently create their own here. This ruling would never fly in the US. Not only does one have the inalienable right to worship the heir faith, everyone else has the right not to be subject to it. We have the right to denigrate, criticize and insult it as well without legal consequence. To defend religious freedom we can’t make religious belief above the law. Wrong again. You will see freedom of speech sharply curtailed in the next decade. I find conservatives have rather peculiar and wildly incorrect notions of freedom of speech and religion. Usually very self-serving and to the effect of “freedom for me, not for thee”. Defending free speech for Moslems while threatening and denying free speech for non-Moslems is simply evil. When the media disseminates falsehoods (fake new), the media is indeed an enemy of freedom. So you are not a big fan of Vladimir Putin, Breitbart, or other wingnut media then. Good for you. Of course a less unhinged person would note that legally protecting any religion from criticism is bad. I presume from your tone of voice you would have no problems if the reverse happened. Spud: Moslems are being permitted to say whatever they wish, including demands to behead innocent people while a Christian is not allowed to use reciprocal language. Jim, I couldn’t give a damn what you think of Islam or any religion for that matter. Principles of free speech and freedom of religion are not conditional on an opinion as to whether one likes or even agrees with its content. I am not defending the ruling. It’s stupid beyond measure. I find your reasons for attacking it ridiculous. Because you clearly don’t value free speech or freedom of religion. Spud: The First Amendment guarantees freedom of religion whether you approve or not.T he First Amendment guarantees freedom of expression whether you agree or not. I choose to discuss Islam in unflattering terms. Also, I am free to tell you that you are a doofus. I swear this is you. The MSM is the enemy of the people. They no longer honestly fulfill the role of the 4th estate by questioning government leaders on behalf of the American people. Instead they proudly act as antagonists to conservatives/republicans and have their own political agenda. Spoken like a true fascist. But sadly for you, that is not the case. Evidently questioning leaders on behalf of the American people is not something you have a stomach for. Both you and the president are at odds with reality and facts in general. So you congratulate a violent, near deadly assault by a right wing extremist. What else is new? Uhhh, I think he was just a guy driving by. But I don’t have a problem with karma handling a neophyte jackass who was looking for trouble either. Hope your hip is feeling better…. Jim accosta does not ask questions on behalf of the American people. He and CNN are derivatives of the DNC. The president uses a deliberately doctored video to attack a journalist’s access to the WH. This does not concern you in the least. Hence your avoidance here. Your opinion here only shows contempt for any of the legitimate goals and purposes of the press. The American people can be best served by NOT LYING TO THEM. Too bad you simply do not understand such a simple concept. Suuuure. And Heather Heyer was killed by a random traffic accident. You just love right wing violence. When CNN, CNBC, the NYT, et al; begin to report in an unbiased manner I will care. Until then, me; and the other 65% of Americans will get our sources of news from other outlets. FYI – I generally equate “news” people to the same level as ambulance-chasing lawyers. So far right wing nut jobs have been sending bombs in the mail, shooting up houses of worship and using fake videos to attack the press. Gotta stay alert. It is a good example of why the UK exited the EU. Yes. Be vigilant in the same way tucker Carlson and his family has to be. So nothing on the president deliberately lying to attack a member of the press for being too “uppity” for his taste. Its amazing what kind of garbage you will support. But you equate compulsive liars with “really fine people”. If nothing else comes from the trump presidency (tax cuts, judges, pipeline, military spending…); the fact that he exposed what many conservatives already knew; about the bias of the presumably unbiased media is priceless. Never again will Americans take the word of a reporter as the truth until fact check by a trusted source. The “news media” disgraced themselves and their profession; and have only them and their unethical selves to blame. You mean the media being inherently against lying, trolling, and deliberate attacks on democratic institutions. Sure Trump has proven that. Its not bias, its called professionalism and ethics. Reality apparently has a liberal bias. You have proven what kind of immoral feckless slime support the man. Those willing to deliberately ignore and deflect from the president obviously maliciously lying and attacking the press for insisting on honest disclosure to the public. Obviously it is embarrassing for you to even discuss it. Poor thing. So how is Trump using a deliberately doctored video to attack a member of the press in any way an excusable action? It isn’t. It is the sign of a person unworthy of his official power. A wannabe dictator annoyed that he is working in a democracy. Larry King an expert? The guy spent years doing talk shows where all he did was kiss up to the guests. ROTFLMAO!!!!!!!!!! So I guess you consider the height of investigative journalism when Barbara Walters asked Katherine Hepburn what kind of tree she would be,. Still avoiding the president DELIBERATELY LYING TO ATTACK A JOURNALIST. When have you Australians are calling Trump a lying sack of crap, you have crossed international borders with your dishonesty! Your opinion as to the character of others is worthless. What part of “it was fake” did you not get, Liar? Did he or did he not act like a jackass when the lady tried to take the microphone away? Did he or did he not push away at her hand? Was he or was he not asked to end his “question” and allow the next person to ask a question? You are basing your alleged recall of the facts on a DOCTORED VIDEO. Nothing you have stated actually comports with the events that took place. So the answer to all of it is NO. You are a lying turd supporting lying turds. I look at islam and its followers as the shlt stain of the universe. Uhm, you watch to much FAKE NEWS. Trump called fake news media the enemy of the people, not the entire press and he is correct. He makes that clear at pretty much every one of his rallies. Perhaps you should educate yourself because obviously you are a victim of fake news as your comment proves. How embarrassing. Stupid remark. The president is such dishonest scum he even sloppily tried to use a deliberately doctored video to attack the press. After that ridiculous move, your remarks are too laughable to consider. The guy hates honest and objective assessment of hid actions. Just look at the parade of people who he fired or resigned from working with him. Trump makes it clear he wants only favorable news reported of him. That he had no respect for the press or even basic facts. That he he a liar and a troll who cares little of such niceties. You don’t either from the sound of it.